Whether you’re hearing or speaking these words, they come with a certain weight—with the sense that maybe-we-should-have-done-this-before. An issue has come up. Someone has news. Something has gotten out of balance, or out of hand. But they’re good words, because we talk in relationship. We talk because we haven’t given up. We talk to reconnect, to clear the air, to confront, to affirm, to heal. Initiating a conversation is a commitment to someone—and a good conversation can change things. 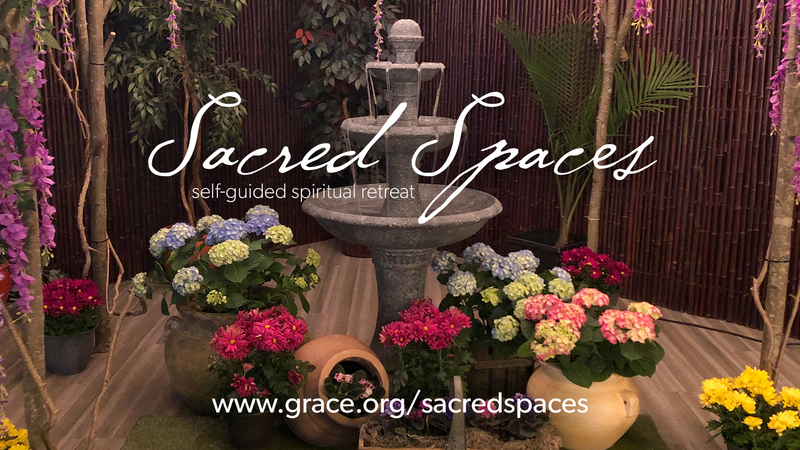 Whether it’s your first, or your thousandth, or your first-in-a-while conversation, our 2019 Sacred Spaces is designed to help you talk with Jesus. During Holy Week, rooms at our Lexington and Wilmington campuses will be transformed into spaces for guided meditation, prayer, and reflection. These spaces are designed to be experienced alone (rather than as a group activity) and as your own time allows. Everyone is welcome. You are invited.